The American Council of Engineering Companies of Arkansas honored Garver with two Engineering Excellence Awards at its annual banquet Tuesday night. In addition, Garver's Two Rivers Bridge project won the People's Choice Award, receiving more votes than nine other projects. The Two Rivers Bridge is 1,162 feet long and is part of a 2,300-foot improvement project that includes ramps and trail connections. The structure connects the south bank of the Arkansas River with Two Rivers Park in Pulaski County, further expanding the central Arkansas trail system and allowing pedestrians and cyclists access to 17 additional miles of trails. At the highest point, the bridge deck is approximately 45 feet above the river’s normal pool level. Garver provided structural, electrical, and site design and environmental services on the project. Engineers and surveyors spent more than 4,000 hours from concept to completion to ensure that the $5.3 million pedestrian and bicycle bridge will be enjoyed by outdoor enthusiasts for years to come. An LED aesthetic lighting system uses state-of-the-art linear “wall-wash” LED fixtures to illuminate the exterior bridge fascia. These linear light fixtures are mounted along the bottom of the deck overhang and the truss’ bottom chord. 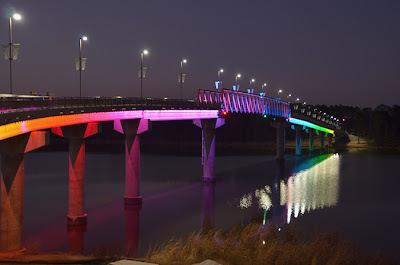 The LED fixtures are capable of 16.7 million color combinations, and the programmable control system can display multiple color light shows. 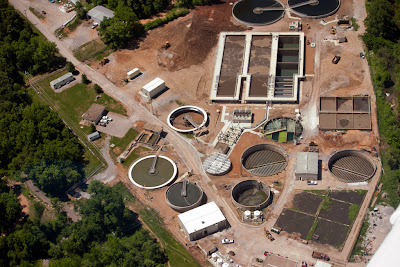 As part of a plant upgrade to increase treatment capacity, as shown in the construction picture above, the Siloam Springs, Arkansas wastewater treatment plant has incorporated a custom-designed biological nutrient removal (BNR) process without filtration. Now operational, the new bioreactor is producing a discharge phosphorus of less than 0.4 mg/L and nitrate less than 10 mg/L. 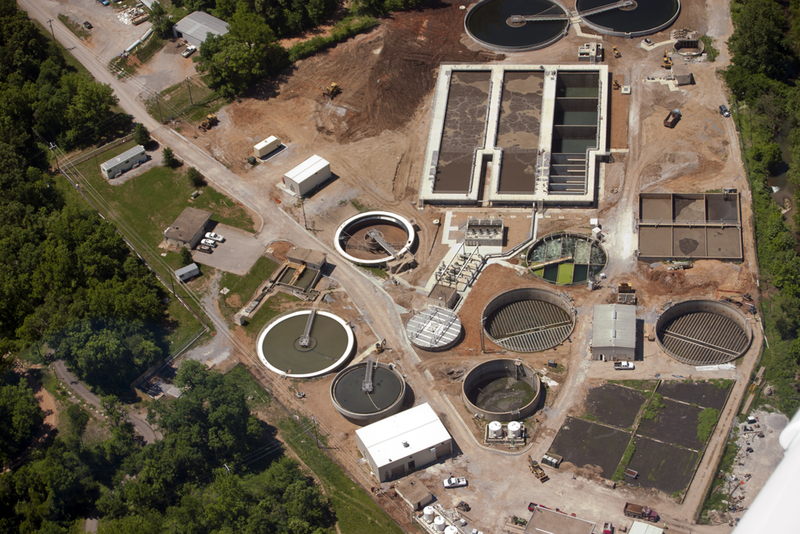 To achieve this level of performance, the city partnered with Garver to develop, design, and implement the enhanced nutrient removal program, which reduces the phosphorus levels in three process phases. The project’s first two phases are now online and improve the liquid process treatment train through BNR and chemical nutrient removal (CNR). Although the new BNR technology has achieved phosphorus nutrient removal as low as 0.4 mg/L at the treatment plant, its marriage to the CNR process will help the plant achieve phosphorus levels another magnitude lower. Together, the custom-designed nutrient reduction program and biosolids improvements have increased treatment performance, reliability, and operational flexibility for the city.